On your second visit we will go over all of our findings with you. After correlating your examination findings with your x-rays, we will have determined whether or not we can help you. Dr. Stuckey will tell you what’s wrong and whether or not he can help you. He will explain what he needs to do, how long it will take, how much it will cost, and most importantly what you need to do or not to do in order to get better and stay better. We encourage you to bring your spouse or loved one with you to this visit so that you don’t have to go home and re-explain everything to them. They will help you remember what was said and remind you what to do or not to do. Your care will begin immediately following this explanation. 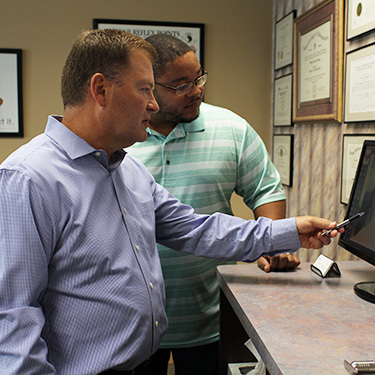 At a typical visit to Stuckey Chiropractic you will learn how we can help you.